Well, it would seem that my last post about abandoned art turned out to be pretty prophetic since I haven’t been here since August. But, I’m back, and it’s been an interesting few months in flux. I learned that I was to become a father. I said farewell to my twenties. I reached Mt. Rainier’s most magnificent and treacherous summit -the pinnacle of my mountaineering career. I studied and labored intensely for the cause of music; reaching over 1,000 St Louis residents through the awesome work of the St Louis Classical Guitar Society. And I have tried to find a bit of stillness to reflect on what type of person I will be in my 30’s. This has meant saying goodbye to some childish things, and fully recommitting to the life I’ve been fortunate enough to choose for myself. In a way, I feel as though I have been gestating alongside my soon-to-arrive daughter and that when she comes a new iteration of myself will come with her. One hopes it’s for the better. As I prepare to spend this day finishing an important movement of my piece Ten Kingdoms, I think back to what -in hindsight- was an important concert I went to at the Brooklyn Academy of Music in 2012. 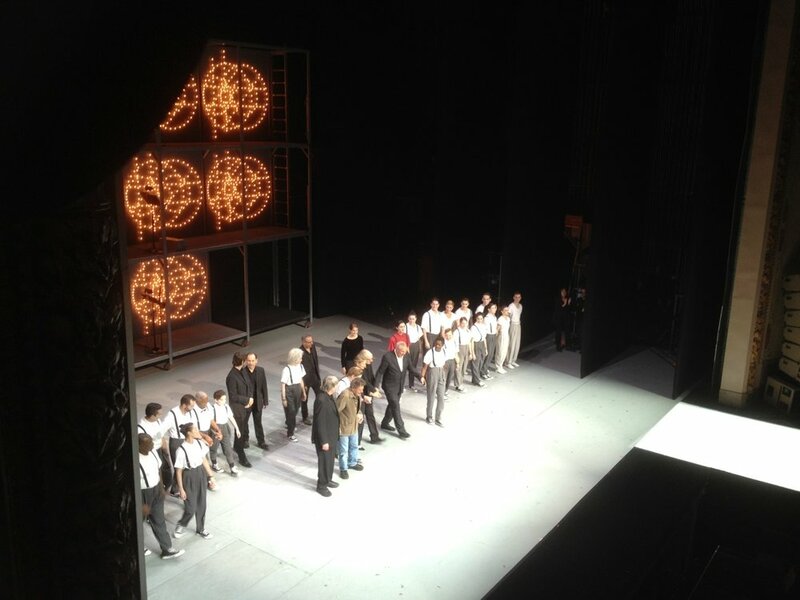 It was Philip Glass’ epic 5-hour opera “Einstein on the Beach,” graced by his presence. It was an important concert for me because it codified that there is freedom to write the music you want to write without regard for judgment, or rules, or appeasing intellectual critics and conventions. It was revelatory to see such a warm audience reception for such an atypical work. Of course, I had seen “far out” music before, but never on such a scale and for such an extended period, and never with such a full house. And to see how appreciated this could all be was really eye-opening. It was just all of us in that room, grooving and zoning out; stepping out for a hot dog and re-engaging; Yawning, squirming, laughing and tapping along together.